The Culture Education Program, aimed at raising awareness by providing diverse information on the city to the broader public. One component is the library program, a series of multimedia publications about events, people, and buildings throughout Tbilisi history. Another is the map project, intended to provide both locals and tourists with high-quality self-guided walking tours of the historic districts. The Public Monitoring and Advocacy Program, the primary goal of which is to make municipal authorities more accountable and the decision-making process concerning urban development more transparent. The organization is distinguished by a high degree of self-mobilization and public activity on the part of the volunteers. It wasn’t until 2010 that the organization even received international funding–today, it continues to operate largely on local donations of time, labor, and money. As such, Tiflis Hamkari is a wonderful example of a locally-led NGO promoting the growth of civil society by uniting Tbilisians about a common grievance: urban planning, particularly where it affects historic districts, has been at best non-transparent and at worst destructive on several layers. In 2006, the organization began to protest the possible re-naming of Leselidze Street, directed not only against this particular case, but against hurried and non-transparent decisionmaking related to street, square, and building names throughout the city. In 2007, Hamkari began collecting historic signs from around the city, producing an exhibit that was displayed at the Tbilisi History Museum and added to the museum’s urban history collections. 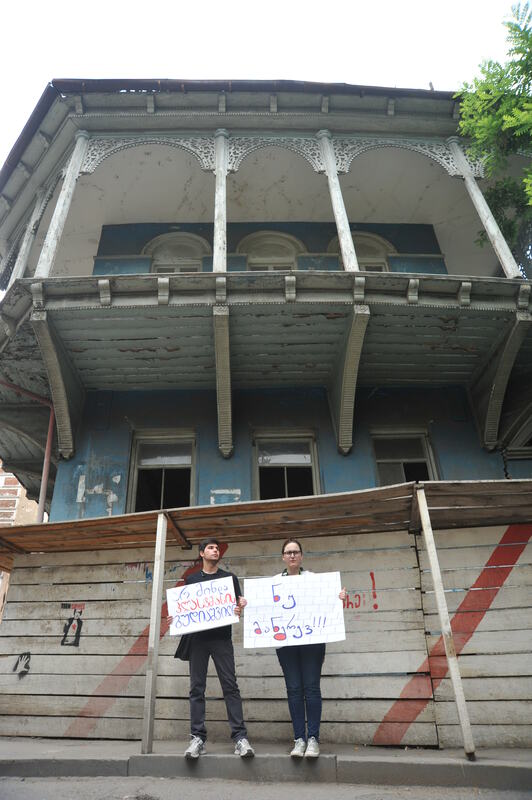 Since 2010, the organization has protested the destruction of Gudiashvili Sqaure, one of the most picturesque assemblages of historic buildings in the historic Sololaki District. In 2011, the organization field a case against the Ministry of Culture for the illegal de-listing and subsequent gutting of the Imeli building (formerly the Institute of Marxism and Leninism). 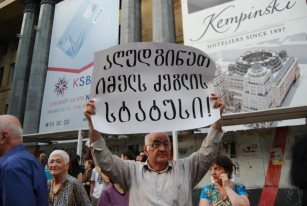 This protest continues into 2012, with a threat of demolition in order to make way for a Kempinski luxury hotel in place of the historic building. 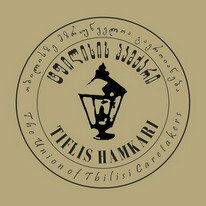 Unfortunately, Tiflis Hamkari does not yet have an active website, or much material in English. 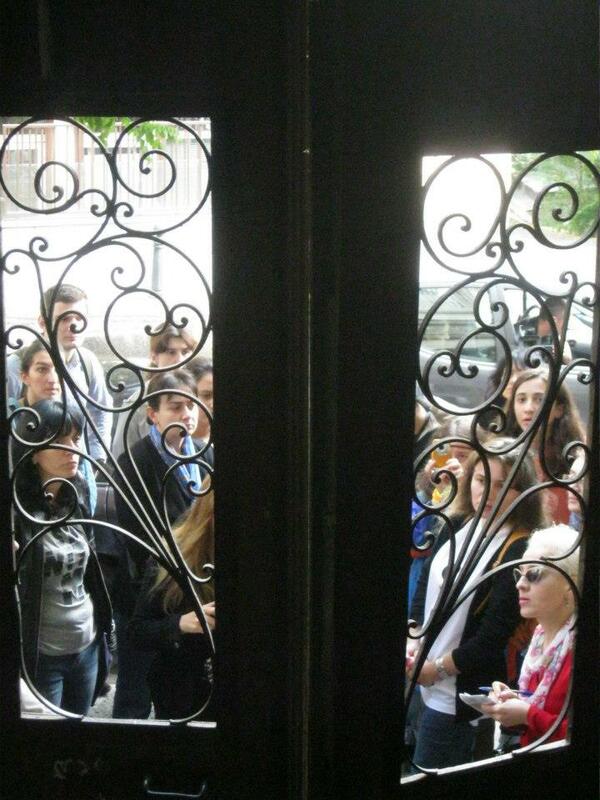 But you can follow their activity on facebook, and stay tuned for future developments. Elisashvili, Alexander. “Role of Civil Society in Heritage Protection, Case: Tiflis Hamqari—Union of Tbilisi Caretakers.” International Conference: Community and Historic Environment 20-22 September 2011, Proceedings. The Boston Marathon Bomber was Caucasian. But Actually.